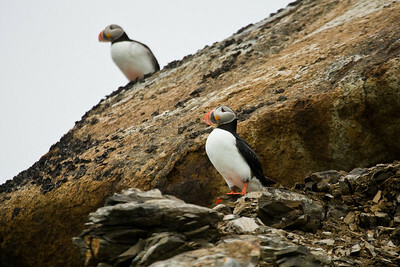 We saw many bird species around Svalbard, some of which were breeding in great numbers. 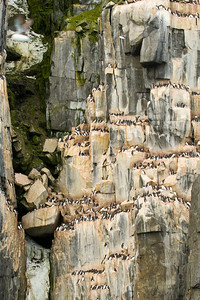 The most spectacular breeding site is Cape Fanshaw on the Hinlopen Strait, where huge limestone cliffs rising vertically several hundred feet are covered with nesting Brunnich's Guillemots which number in the hundreds of thousands. 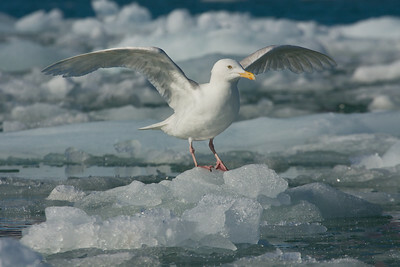 Glaucous Gull on floating ice (bergy bit). 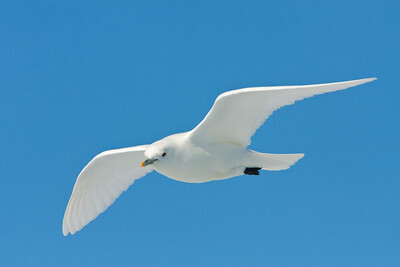 Ivory Gull, a true Arctic species that remains in the high Arctic year-around. 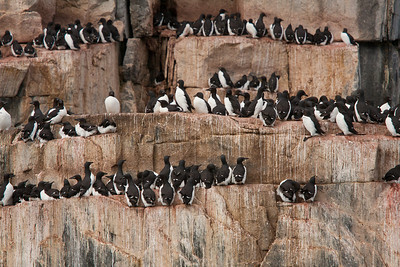 We were treated to a somewhat bouncy Zodiac cruise along Cape Fanshaw to view the incredible nesting colony of Brunnich's Guillemots. 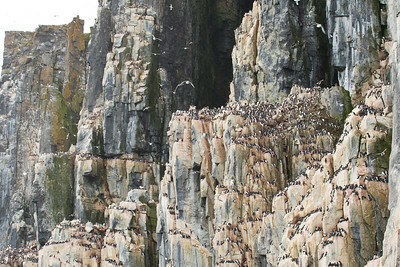 There were several hundred thousand birds in that colony, including the inevitable predators such as the skuas. 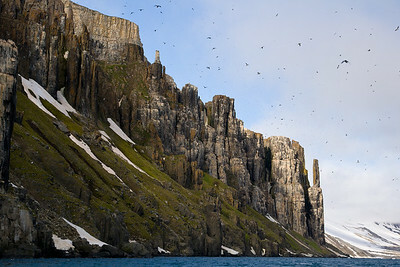 Overview of Cape Fanshaw on the Hinlopen Strait. 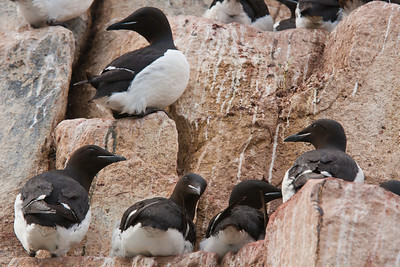 Closeup of Brunnich's Guillemots on their nests. 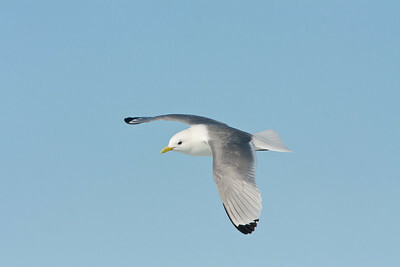 Each bird lays a single pear-shaped egg. 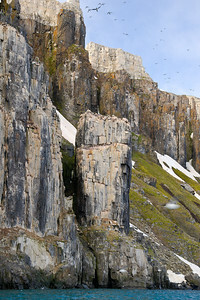 The oblong shape prevents the egg from rolling off the edge of the cliff. 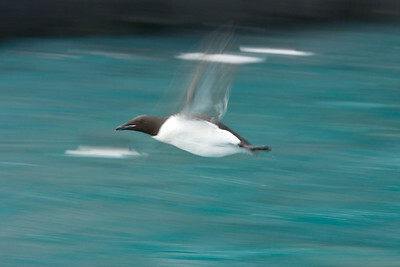 Guillemot "motion blur" image, made by panning with an intentional slow shutter speed. 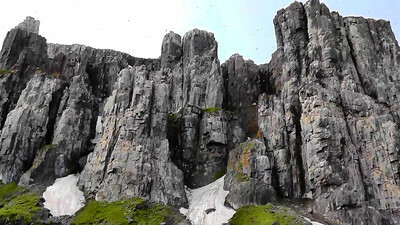 These birds are very fast flyers with extremely rapid wingbeats. 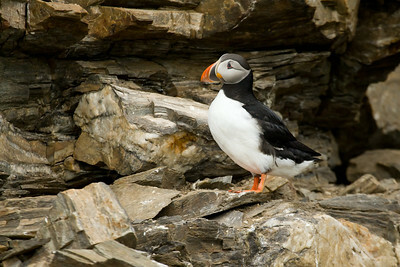 The Atlantic Puffin is not too common on Spitsbergen, which lies at the extreme north of its breeding range.